We’ve completely redesigned this session. It’s so different from Animal Magnetism that we considered releasing it as an entirely new title. So we’ll go ahead and call it an upgrade anyway. Which means that, if you already owned Animal Magnetism, then you now own Unstoppable Charisma 2.0 as well. Animal Magnetism focused entirely on helping you develop a charming personality. Unstoppable Charisma, on the other hand, dives deeper into all 3 traits of charisma: Presence, Power, and Warmth. 3 simple behaviors that anyone can develop to instantly become more trusted, respected, persuasive, and influential. We affirm and re-affirm our reality every moment of our waking lives. The automatic thoughts, feelings, and actions you experience throughout your day are habits that spring forth from your deepest beliefs about yourself, and the world around you. People who believe in an abundant universe think in terms of abundance. And so they feel gratitude for everything they have. 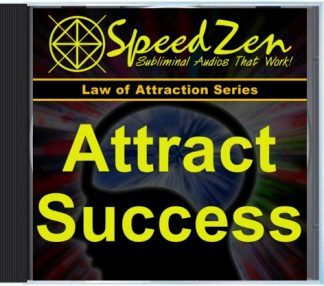 Thereby creating a positive feedback loop that strengthens their belief in abundance. People who believe in a universe of scarcity will automatically think, feel, and act in ways that affirm that belief, instead. And their habits will manifest a reality of scarcity… thereby strengthening their belief in scarcity. 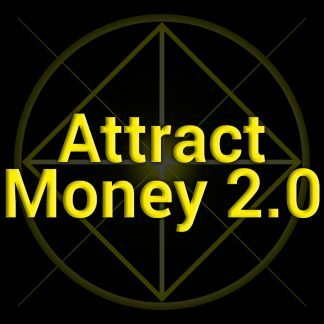 So how can someone switch from a scarcity mindset to an abundance mindset? Just break the feedback loop. So, interrupt your negative thoughts. And then insert the thoughts you’d *rather* have. When you catch yourself thinking about scarcity… and feeling that you lack something… just stop. Remind yourself of all the things you are grateful to have. Write down a list of those things and carry it around in your pocket if you need to. You will automatically feel – and act – in different ways, too. And your beliefs will begin to change to reflect your new way of thinking. Sometimes it can be very difficult to notice these old thinking patterns in the heat of the moment. Especially if they’ve turned into deeply ingrained habits through years of repetition. In these cases, it definitely helps to tackle the problem directly at the subconscious level, too. 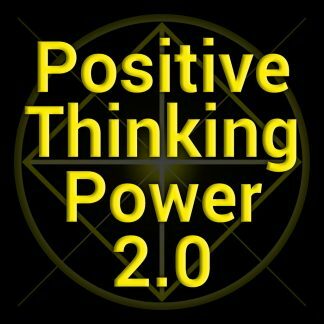 That’s where my Positive Thinking Power subliminal session can help. 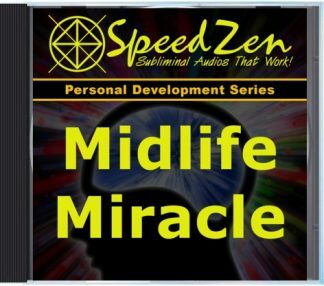 By allowing you to deeply relax and enter a state of meditative trance, it becomes much easier for the subliminal script to replace the old ways of thinking with something more positive… directly at the source… your beliefs. After that, the process of interrupting and replacing your limiting thinking becomes almost automatic and effortless, simply by listening. 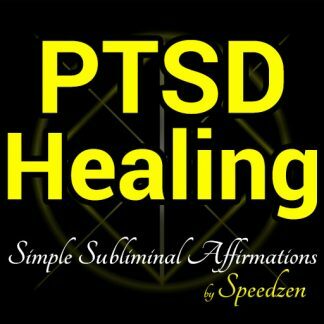 Sure, the end result was always positive… But, a few people found that it was a bit unpleasant to process and release negative past experiences so quickly. Sort of like ripping off a band-aid, instead of gently removing it. The 2.0 version is designed to work slower, based on the listener. It takes a more gradual and relaxed approach, allowing you to work through old emotional pains at your own pace, in whatever way is most comfortable for you. 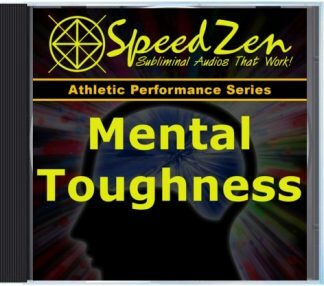 And, of course, it includes all the new listening options available with all Speedzen 2.0 sessions: Ocean Waves, Mountain Streams, and Gentle Thunderstorms. You can learn more about it and grab your copy here. PS – If you already owned this session, the new version is now available in your account. Or, if you don’t have an account yet, just contact us and we’ll get that set up for you. If your inner monologue is constantly nagging you and tearing you down, you might have a hard time feeling good about yourself. But, your inner talk isn’t nearly as powerful as your inner vision. Your inner talk can only change your feelings and behavior if it’s able to change what you see. If you can still SEE yourself succeeding… then you’re still going to succeed. 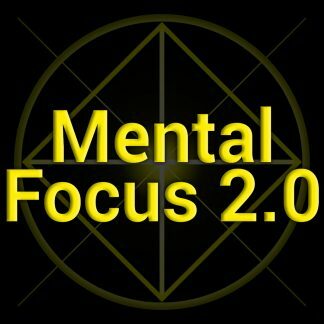 Because what you see, in your mind’s eye, is what really drives your subconscious mind. Inner vision controls how you feel. Inner vision controls how you act. Inner vision drives you to move towards your goals, in spite of any obstacles. Your positive vision will overpower it. That’s why Powerful Visualization Skill is, in my opinion, the single most important session we’ve ever created. 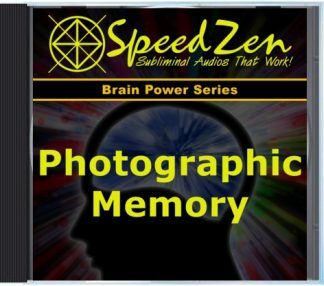 Because when you learn to control the images in your mind, you take full control over your mind itself. It’s a real life superpower. And it’s a superpower you can develop even easier now, with the new Powerful Visualization Skill 2.0 session. Want to know what all the fuss is about? 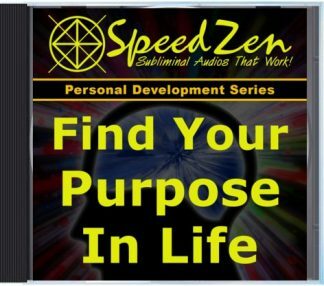 Check out the new Speedzen 2.0 sessions now. P.S. 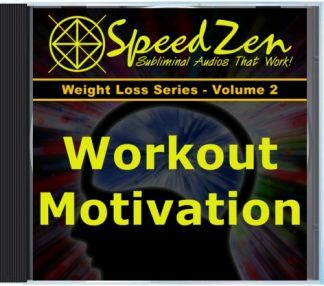 If you already purchased any of the original versions of the new 2.0 sessions in the past, you can access the new 2.0 downloads in your account right now. Don’t have an account yet? Contact us and we’ll get you set up! 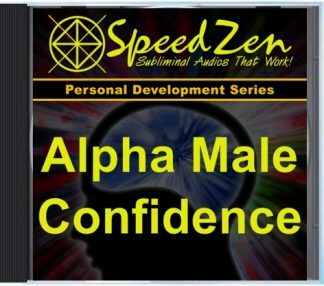 Because it’s the 2nd generation of Speedzen audio technology, and… the primary feature of Speedzen 2.0 is the dual scripting method. 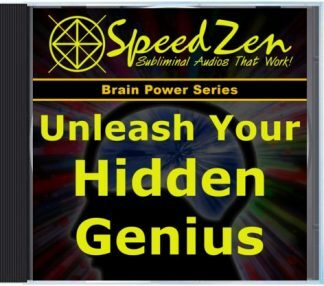 Each audio track contains two separate subliminal scripts, delivered separately to each hemisphere of your brain. 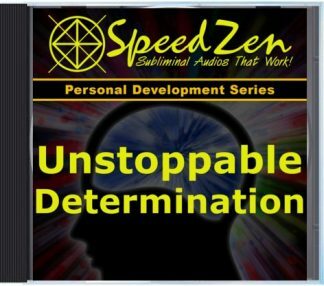 And what better way to introduce this new technology than by upgrading my flagship subliminal program, Unstoppable Confidence? You can read all about the new program and scripting method here. 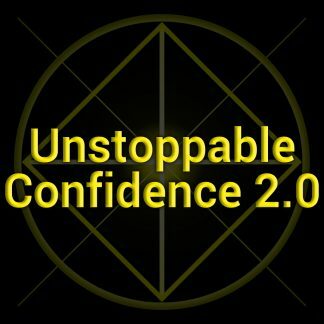 And, as promised, if you already owned Unstoppable Confidence before the upgrade, you can simply login to your account now and download the new Unstoppable Confidence 2.0 MP3s… at not additional charge. Important: Just be sure to read the new listening instructions found on the new product description page before getting started! The instructions are different than the old program. And the results will speak for themselves, but only if used correctly! Perfectionism… or Paralyzing Fear of Failure? Perfectionism is a silly excuse for never finishing anything. 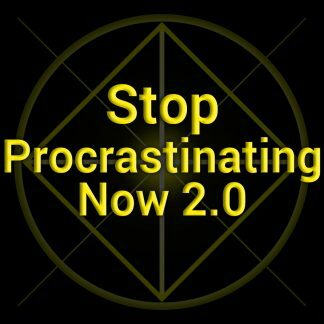 Most people use it as a disguised form of procrastination. * Waiting to apply for that perfect job until they get their resume just right… Only to lose that job to someone else with a ‘good enough’ resume. * Or waiting to ask that one person out on a date… Only to watch them get swept off their feet by someone else who wasn’t waiting for the perfect time or the perfect thing to say. * Or holding off on launching that new business until everything was perfectly in place… Only to have someone more motivated and action-oriented launch the exact same business and steal all the glory and success. It seems like the only thing “perfectionists” ever get perfect is the ability to watch other people succeed. …And then complain about it. Those people who were stepping over me to take all the things I wanted in life didn’t give a damn about being perfect. They weren’t sitting around waiting for the stars and planets to align. They weren’t waiting for permission to take action. They understood that “good enough” efforts are usually more than enough to get the job done. You can always improve as you go. You *will* make mistakes and people *will* criticize you. Things will never be perfect. …Fear of not measuring up. You’ll also start to notice that the people criticizing you are usually just the other “perfectionists” anyway. They’re sitting around waiting for the perfect time or the perfect circumstances. Because they’re terrified that they’ll fail otherwise. And it really bothers them when other people let go of that fear and take action, because it draws attention to their own inaction. Because their criticisms are just their own disguised frustrations over the fact that you’re taking action, getting things done, making it look easy, and… they aren’t. What things have you been putting off until the stars are perfectly aligned in your favor? More importantly, how will your life look in 5 years if you keep putting it off? And how much better will your life look like 5…10…15 years from now if you just said “screw it” and let go of that fear of not being perfect and just got started… right now? I read a disturbing news article today. It talks about how loneliness is reaching epidemic proportions in our society. Apparently, despite our world being more connected than ever, people are connecting less and less on a personal level. Not about developing meaningful, personal relationships with real people, face to face. And, without meaning and purpose in their relationships, more and more people are experiencing the negative effects of chronic loneliness in their lives. Everybody has seemingly forgotten how to connect with others. These days, it’s hard to have a night out at a restaurant without everyone checking their cell phones during dinner. The article goes on to suggest a pill. There are scientists working on a pill for loneliness. Instead of teaching young people about the psychological need for face-to-face interaction, and developing simple social skills, they want to drug them up. I guess I shouldn’t be surprised. Because you can do that without drugs. You can easily learn to relax and adjust to normal social interaction with simple meditation. I’ve even developed a subliminal session specifically for loneliness, to help you break free from the mental and emotional prison that social media has apparently created for so many people.